Hip-hop emoji Stickers for iMessage is best emoji app for happy chat. Express yourself with many different emoticons with animated monster stickers, having unique and beautiful animation. send those funny motion with expression to your friends. Show them various of emotion expression such as love, angry，happy, sad, sick, funny and more. you can enhance your chat with a world of stickers for iMessage. make your conversations fun with funny motion emoji stickers pack. these stickers are a great way to show just how much you love your friends ! 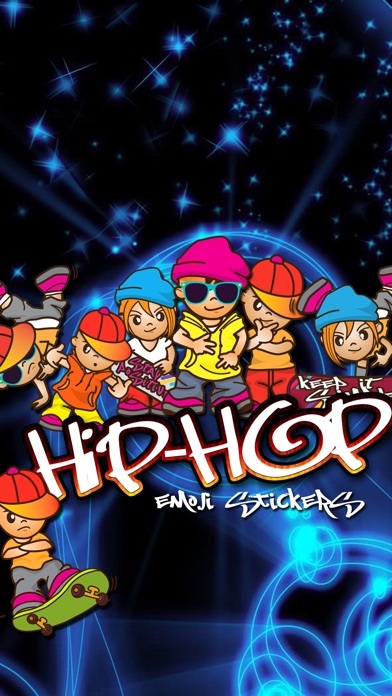 quick tips on installing and using sticker apps... 100 ++ Hip-hop emoji Stickers best collection of hip-hop style emotion. How to use these iMessage stickers: Step A: Open a message with a friend and tap the">" button to the left of the text box. Step B: Tap the app button that appears(it looks like an "A") and then taps the button that looks like four circles in the lower left of your screen to open the iMessage app drawer. Step C: Tap the icon of this Sticker Pack and start sending stickers! Useful tips: * You'll have all you need, No additional pay! * Tap the sticker you want, or DRAG & DROP one into your message. * You can Scale & Rotate stickers by using a second finger before you place it on a bubble. 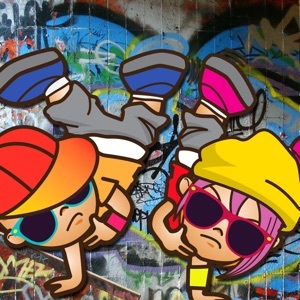 Express yourself with Hip-hop emoji Stickers App - Emoji Transformation today ! You will get more stickers that we are going to add to these collection in the future.